I’ve been away this week at the College for Bishops in my third and final year of the “Living our Vows” conference. Each new bishop is required to participate in week long retreats in three successive years for their early formation in their new role. Some of the subjects that we’ve studied in three years include Complexity theory and Adaptive leadership, Emotional Intelligence, Organizational Systems, Media interface and messaging, Mutual Ministry Reviews, Polity and Property, Title IV, Prayer Book and Liturgy, and Collaboration Leadership. We also prepare “critical incidents” for processing in small groups and have time for informal interaction with our peers and with faculty members who are senior bishops in the Church. 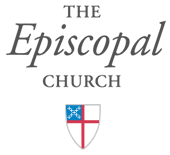 In recent years, we’ve included peers from the Anglican Church in Canada, and this year we’ve added two students from the Anglican Church in Wales. It is a delight to be with our international partners. In our configuration of three years’ classes, we also have students from Puerto Rico and the Dominican Republic so our Body is enriched by their presence, as well (and the wonderful translator who works with them to support their full participation in our group). The studies are engaging, the conference center (Roslyn, in Richmond VA) is beautiful, the southern food that is offered is delicious, the faculty is savvy and accessible, and the daily worship in the bishops’ chapel is restorative. 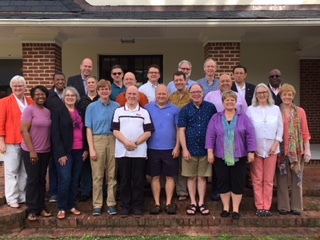 The best part, though, is having a colleague group of about 30 new bishops with whom to pray, discuss, argue, walk, laugh and cry. It is an intense week. A blessed week. And now, it’s time to gather up my notes, pack up my dirty laundry, and head home. There are 2 kitties, a husband and a diocese that I’ve missed.